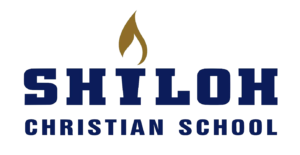 Shiloh Christian School is seeking a full-time middle and high school (grades 6-12) technology and business teacher for the 2019-2020 school year. Teaching responsibilities would include Keyboarding (grade 6), Microsoft Applications (grade 7), Business Computer Applications (grade 9), Business Fundamentals (grade 11), and Personal Finance (grade 12). ND teaching credentials must be in place or in process for approval by August 19, 2019. Experience is preferred but not required. Questions can be directed to Darlene Martin at martind@shilohchristian.org. Interviews will be conducted once completed application materials have been received. Interview will include details of compensation and benefit packages. Applications can be found in the main office or downloaded here.